On a multicultural university campus, who benefits the most? At a time when American universities across the country increasingly market their racial diversity to prospective students, Temple sociologist Sherri Grasmuck set out to explore what “diversity” means. She interviewed 64 college students, who identified themselves as members of a minority group, to find out who benefits most from diversity on college campuses and what do the students themselves have to say about it. According to Grasmuck, the answers may surprise you. Her interviews revealed that a surprising number of students who socialized primarily within their own cultural group identified this as a new tendency that allowed them to affirm their cultural identity. “I found this to be predominant pattern among middle class minority and immigrant students who suddenly discovered a peer group like themselves for the first time in their lives,” said Grasmuck. Overall, Grasmuck found that the students most satisfied with their experiences on a multicultural campus were the ones who had made their own choices about peer associations, and those least happy had felt constrained by peer group boundaries and pressures. For more, read What does “diversity” really mean? 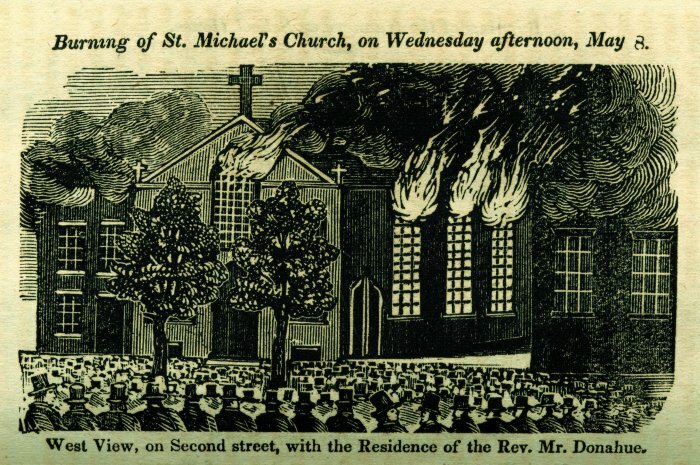 Sketches like this one can be found on PhilaPlace,an interactive Web site, created by the Historical Society of Pennsylvania, that connects stories to places across time in Philadelphia’s neighborhoods. Associate Professor Christopher Harper, JOUR, was awarded a $50,000 provost seed grant to assist the Historical Society of Pennsylvania to expand its award-winning website, www.philaplace.org. The grant will enable Philadelphia Neighborhoods, the capstone course for journalism majors, and photojournalists in the Department of Journalism to work with the historical society to provide historical accounts of neighborhoods in the city. The College of Education and the Neighborhood Learning Center also will participate in the interdisciplinary project. Check out this new video of the Temple Repertory Theater company. Read more about the new Temple Repertory Theater here. 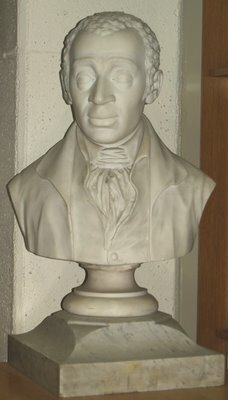 Susanna Gold, assistant professor of art history at Temple University’s Tyler School of Art, helped to track down the long lost bust of Richard Allen, abolitionist and founder of the African Methodist Episcopal Church. Originally on display at the 1876 Centennial Exposition in Fairmount Park the bust, which stands about two feet high, is believed to be the first work of public art completely conceived and sponsored by African Americans. Gold was able to track down the work of art by following small mentions in the press over the years. She finally located the sculpture at Wilberforce University, where it has been on display since 1887. Read more about this historic discovery here. Christine Stansell, a professor of history at the University of Chicago, recently reviewed Temple University professor Bettye Collier-Thomas’ new book Jesus Jobs and Justice: African American Women and Religion for the New Republic online. Here’s a taste of what Stansell had to say about the historic book that looks at the contributions African American woman made to growth of the Black Church. Professor Bettye Collier-Thomas, author of Jesus, Jobs and Justice - African American Woman and Religion. The same could be said of the black church because those were the same women who flocked to Sunday morning services in the Methodist, Baptist, and Pentecostal churches, dressed in stylish hats and prim pumps. 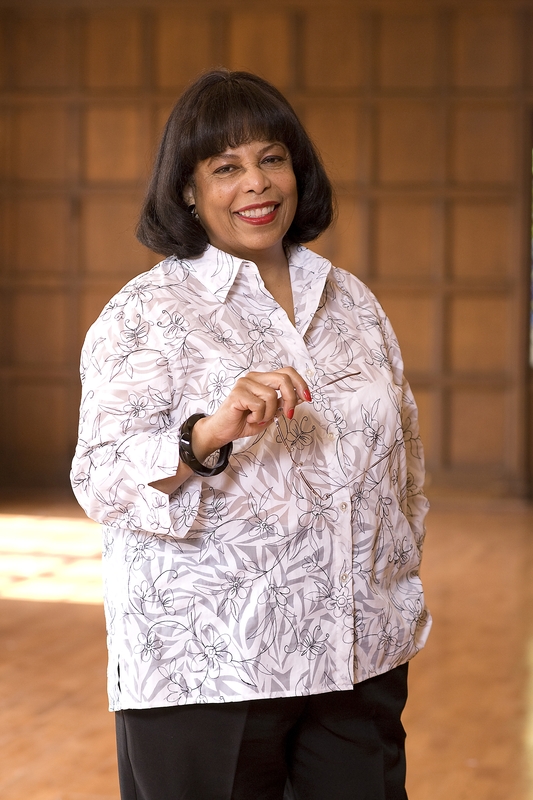 Bettye Collier-Thomas’s book shows how central those churches were to their lives, and how important their patient spirituality was to African American politics—and also how restless they were about always playing second fiddle to men. It is an encyclopedic chronicle of women’s efforts to achieve recognition adequate to their contributions and religious leadership proportional to their numbers. The 20 years following World War II witnessed the transformation of Temple into a modern university, but the university remained committed to its mission of service and diversity. 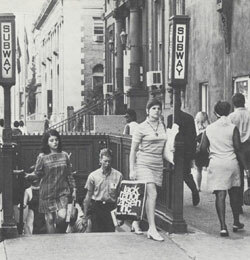 Above, students leave the subway in front of South Hall, circa 1970. Temple University, now the 28th largest university in the nation and the fifth largest provider of professional education in the U.S., started in 1884 as a neighborhood school of higher education housed in a Baptist temple on North Broad Street. Temple’s growth and role in the evolution of higher education and Philadelphia is chronicled by Temple history professor James Hilty in his new book, Temple University: 125 Years of Service to Philadelphia, the Nation and the World (Temple University Press, 2010). “As I was doing my research for the book, I was looking for themes, and it goes back to Temple’s founder and to the democratization of higher education and the accessibility that Temple offers—those are Temple’s major contributions, not only to Philadelphia, but really to the world at large,” Hilty said. A few weeks ago, Cherry TArts had the opportunity to visit the final day of class for a unique sociology course at Temple called “Urban Violence.” As may be typical for many classes on the last day of the semester, students presented findings from their group projects. But what was different about this was that the audience for the presentations was a group of high school students from Youth Build Charter School, located a few blocks south of Temple on Broad Street. Also different was that some of the students making the presentations were also high school students. Another thing different about this course — it was the brainchild of a student. As a sophomore Max Cuddy enrolled in Temple’s Inside-Out Prison Exchange Program, which brings college students and Inside students — prisoners — together inside a corrections facility to study issues of social justice. The class made a huge impression on Cuddy. 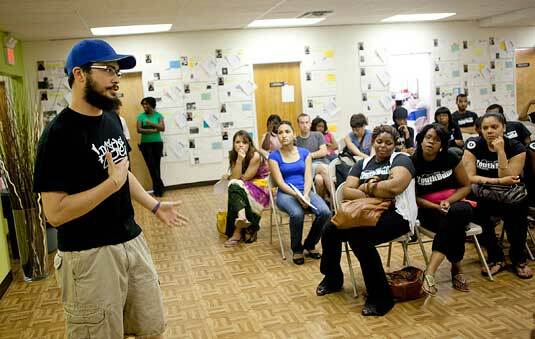 “Bringing together two different groups with misconceptions of each other was really eye opening. I began to see interpersonal exchanges I would have never imagined possible,” he said. Cuddy also found that the course permanently altered his notion of what an education could be. He drew on that experience as a model and jumping off point for another course — one he developed as part of his work with the Temple University Student Peace Alliance, for which he served as vice president. And by exposing the high school students to college, college work and college students, Cuddy thought it might help them realize college as a feasible option in their futures. By many measures, the course was a success. “From the first day, the discussions were dynamic and were often led by the high school students,” said Cuddy.